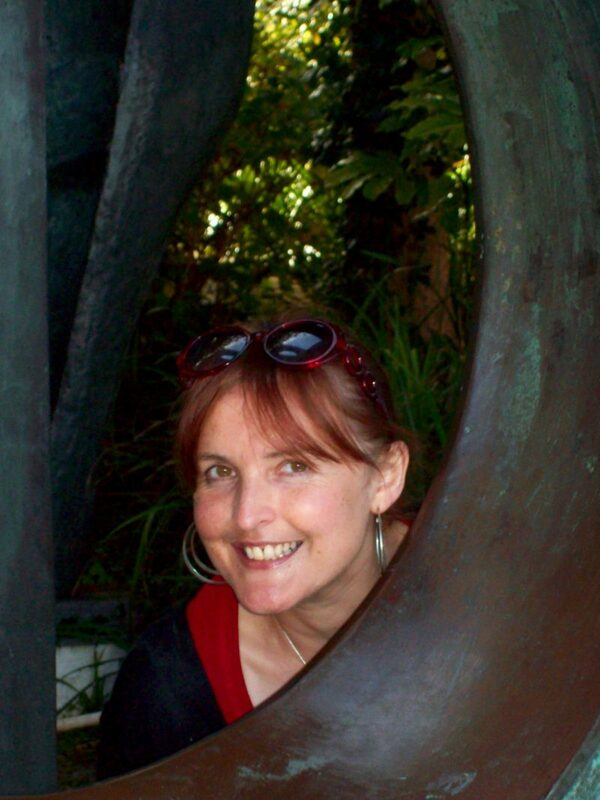 The Barbara Hepworth Museum is one place I wish I stayed closer together, along with the beautiful town it’s in. No visit to St Ives should be without a couple of hours at the Barbara Hepworth Museum. 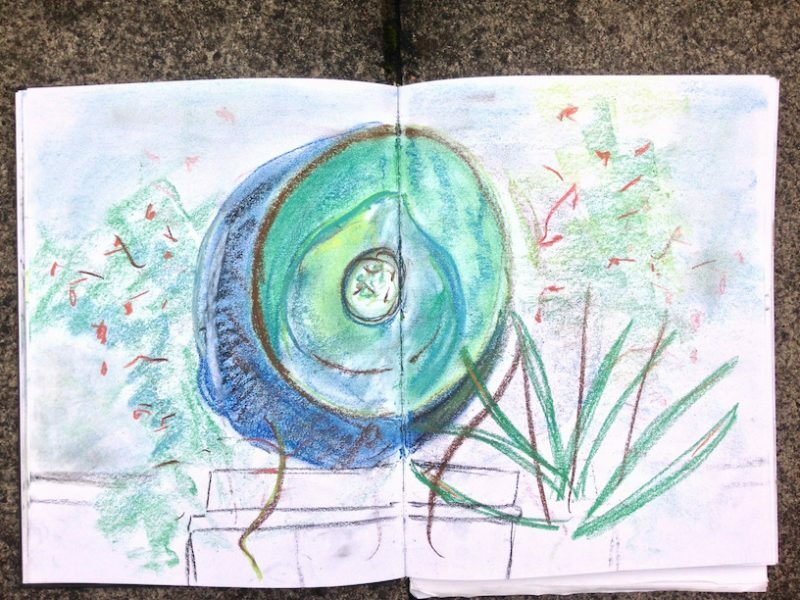 And preferably lounging around in the garden, sketchbook at the ready. My favourite sculptor gifted her home/studio to the nation, which explains why this collection is laid out throughout the house and sumptuous back garden. I love the fact that, like Taro Okamoto, the artist herself lived and worked at home where the public can now view her work. Working in what was such a male-dominated art form, she certainly added a feminine dimension to her sculptures and installations. 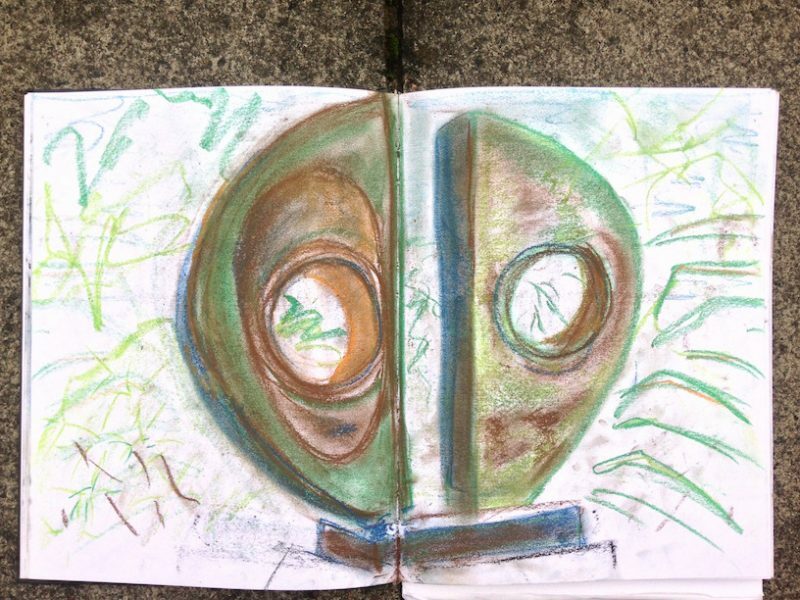 All photos here are in the garden on a visit I made some years ago, along with some colourful pastel drawings. Hepworth’s work echoes the foliage of the garden and certainly suits the surroundings. Although it’s many years since I’ve visited this gem, I remember my impression of her home well. She must’ve felt at one with the natural environment. Her sculptures echo the shapes of nature, many at repose as they collect rain water. Huge and organic, much of the copper turning green, I won’t be the only one to think of seeds and spores carried on the wind. Reading up on her a bit reveals that she also won several prizes for music at school. Which explains why some of her works put me in mind of musical instruments. Perhaps she saw a connection between both seeds and musical notes carried on the wind. It’s no surprise that like many artists Barbara Hepworth fell in love with Cornwall, as the light and landscape is magical. It’s a shame that I no longer live as close to St Ives (if you could say London is close), for this is one oasis I’d return regularly. And so I’m happy to discover then that this museum is now open in Yorkshire and is less of a trek. They’re both on my must-see (again) list for 2018. 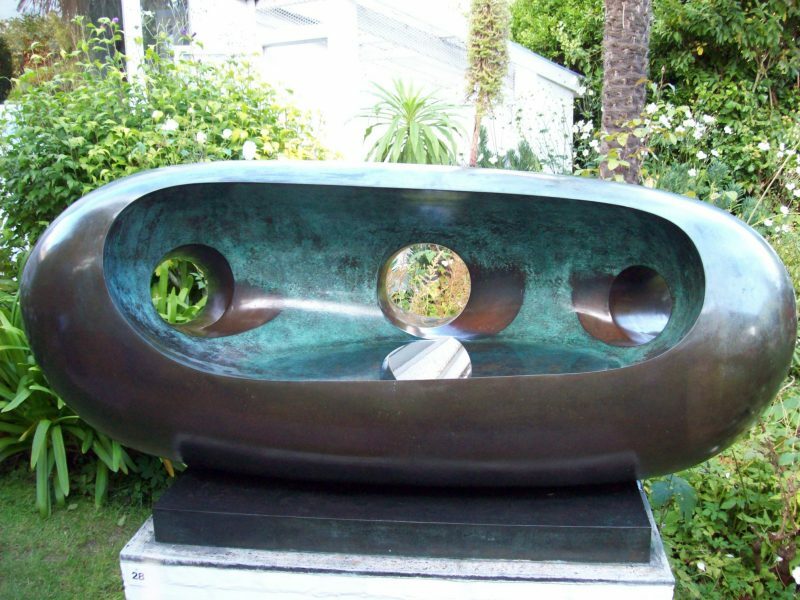 Have you seen Barbara Hepworth’s work? What other sculptures should I see? Let me know in the comment section below.